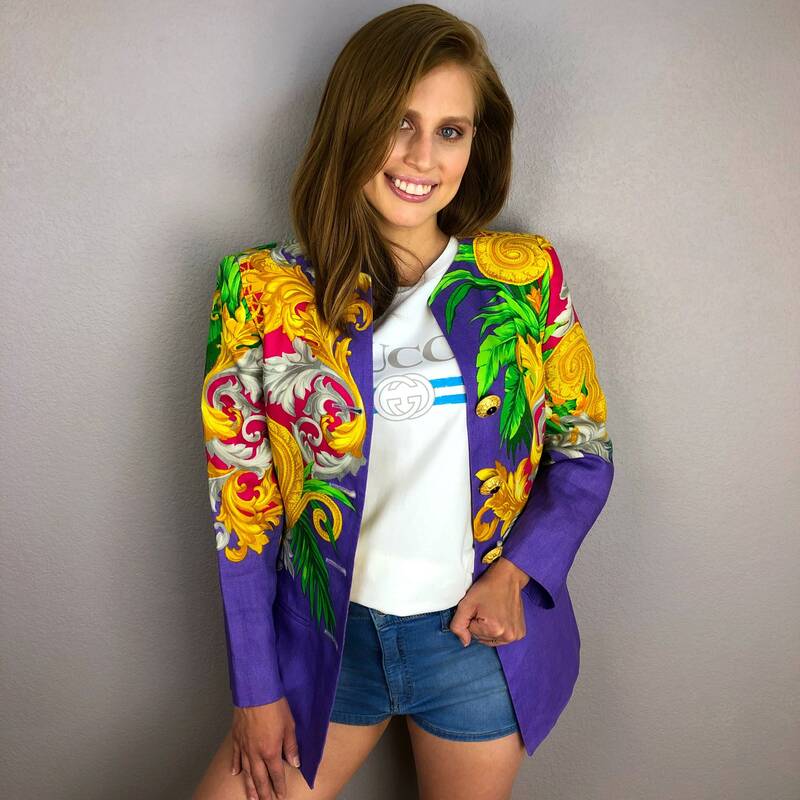 Ultra glam designer blazer from French designer Christian Llinares. 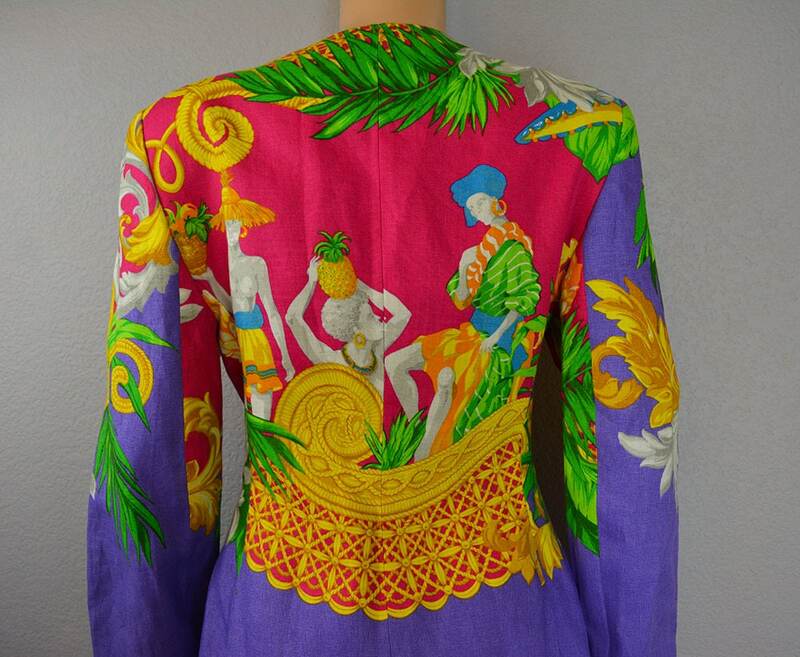 The print on this is so fabulous and tropical! It is giving us some serious 90's Versace vibes hehe. 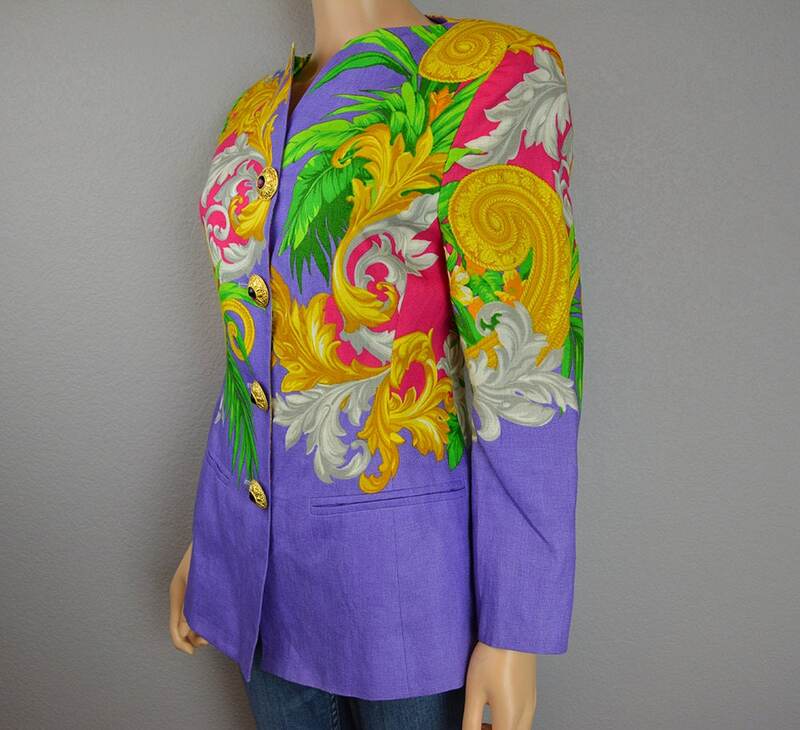 If you are like us, you look at the early 90's as a super glamorous time in designer fashion and this jacket totally represents that time well. It is in fabulous condition. 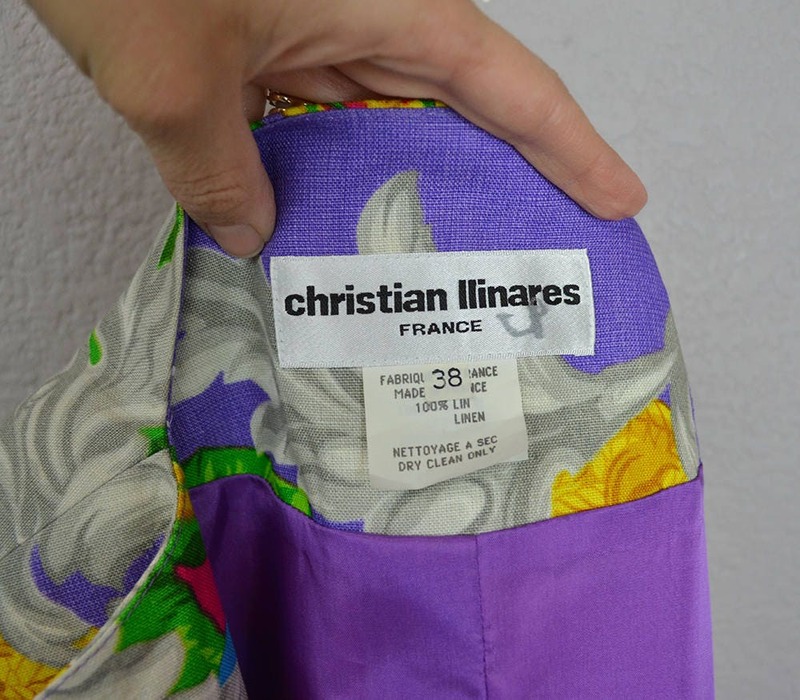 The jacket is made of linen and is lined with acetate. It has small shoulder pads that cannot be removed without having to open up the lining. 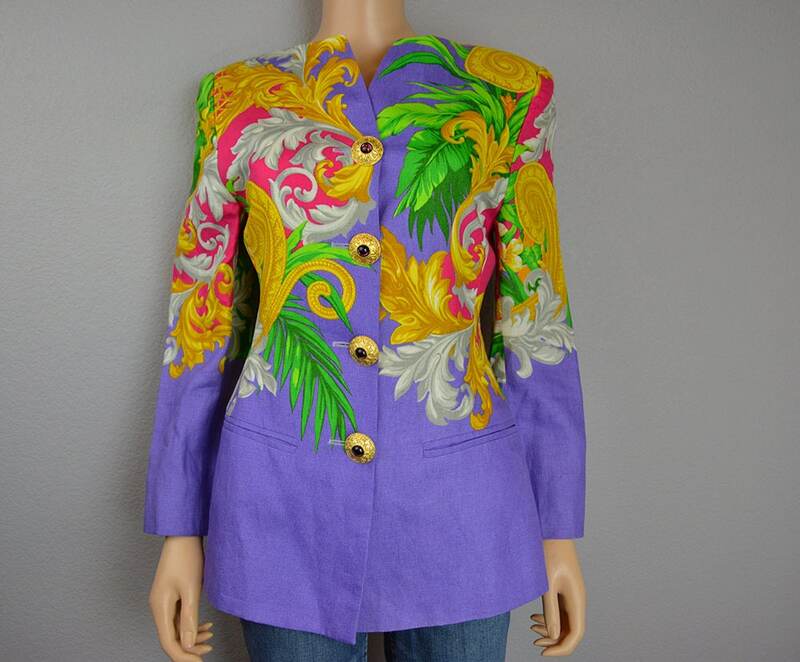 It also has large buttons that are gold colored with a purple rhinestone in the center. 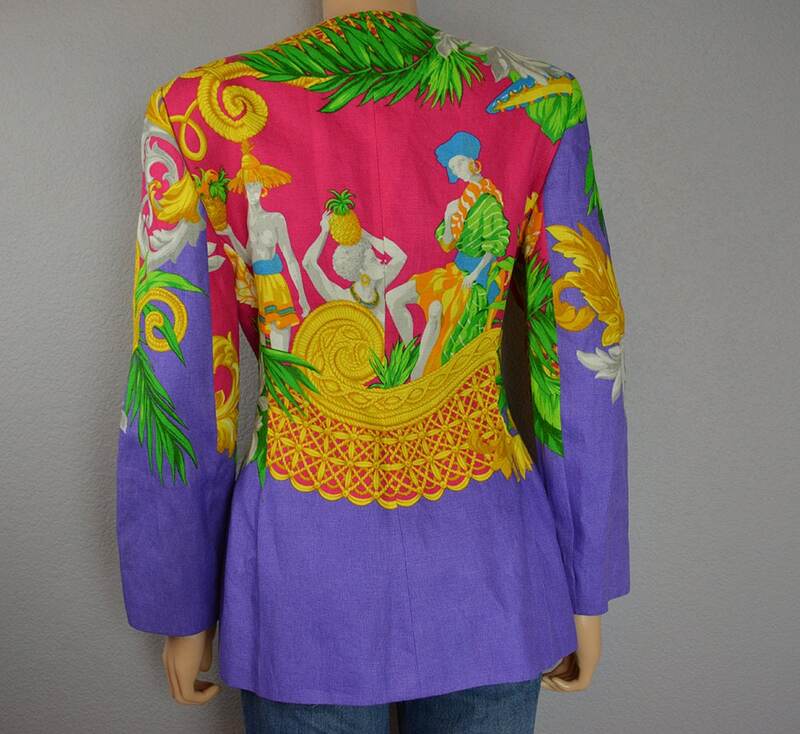 This is perfect for a cruise or any event where you need to look super extra and fabulous! Size: 38 EU, 6 US, but this runs small. Please note the measurements. I'd recommend this for somebody that is around a size 2. If you don't plan to button it, a 4 or 6 would work too. Bust: 34 inches. Would not fit band sizes that are any larger than 34. I'm a 34 b and it fits me perfectly in the bust. Waist: 29 inches. No stretch. We recommend to leave a couple inches space for a more comfortable fit when buttoned. SIZE NOTE: As you get to the lower waist around the third button it doesn't get much wider. It stays around 29 inches.